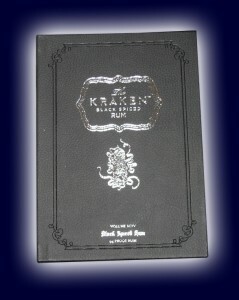 Win the Coveted KRAKEN RUM BOOK! Ever since I bragged on the extraordinary promo package I received from Kraken Rum, readers have emailed me to express their salivations for the package’s crown piece – the BOOK. 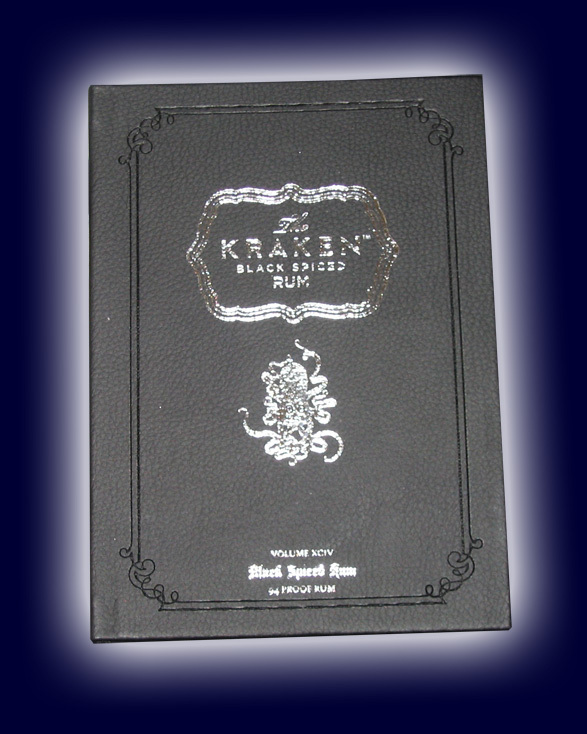 Chock full of words and illustrations depicting the anatomy, history, and myth of the kraken, as well as anti-kraken weapons and drink recipes, this hardbound book is a must for any piratey rum fantatic! They’re precious hard to come by, but I have been fortunate enough to come across a spare – and it could be YOURS! Tune in to Bilgemunky Radio this coming Monday night for your chance to participate in the bloody competition. Plan to listen close, shoot in an email or several, and wrack your brain for info about Kraken Rum, the kraken itself, and Bilgemunky Radio! Contest entry will be locked shortly after the program begins, so don’t be late! 8 pm, CST!! !